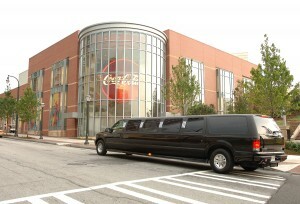 For over 30 years, A-National Limousine Service has provided a high standard of corporate limousine services for some of the nation’s largest fortune 500 companies: Delta, Coca Cola, Georgia Pacific, ING, and Bank of America. We pride ourselves on catering to both large and small groups offering detailed transportation scheduling and group coordination. A-National Limousine has the experience and expertise to ensure that your transportation services run flawlessly. Need to spend more corporate dollars with certified minority businesses? A-National Limousine is proud to be a certified member of Disadvantaged Business Enterprise (DBE) with the Georgia Department of Transportation. A-National is also certified as a Minority Business Enterprise (MBE) with The Georgia Minority Supplier Development Council. These organizations have certified A-National through a stringent process complete with documentation and site visits. Please see more about these certifying organizations at http://www.dot.ga.gov and http://www.gmsdc.org. We refer to our drivers as “chauffeurs” and they are trained to understand that our corporate clients deserve the best services. Our highly skilled, well trained and seasoned chauffeurs will always exceed the clients’ expectations. Routine chauffeured services provide the daily issue of USA today or Wall Street Journal, bottled water, satellite radio, and Wi-Fi. Our professional chauffeurs are able to offer concierge services to our clients who need recommendations on dining or sightseeing. A-National chauffeurs utilize two-way radios and other messaging devices to stay in constant communication for last-minute changes in schedules or reservations. Our chauffeur driven vehicles are properly insured, licensed, permitted and rigorously inspected by our industry regulators. All chauffeurs/drivers have gone through extensive background checks and are dedicated to providing professional and courteous services. Our services and unique technology provide our clients with dependability and efficiency at competitive pricing. You can book your reservations online in real time or you may call the office for personal travel assistance. Our web-based reservation system will give you total access and control of your account and travel plans. For corporate accounts we offer semi-monthly or monthly billing and we accept all major credit cards. Whether your transportation is to the airport, corporate event or hourly transportation, our experienced, professional, well trained chauffeurs will ensure all transportation needs are exceeded. We also offer transportation services in other cities and states with our carefully chosen team of affiliates who operate with the highest standards in their area. We are committed to earn your trust one trip at a time.